FLINT — Gov. 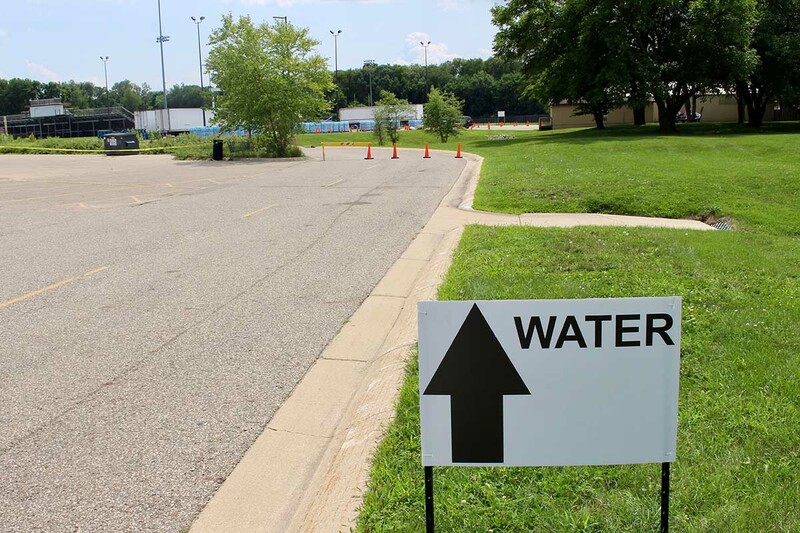 Rick Snyder says Michigan is the nation’s leader in responding to PFAS, harmful industrial chemicals regulators are increasingly finding in Michigan waters. Actually, Minnesota has been there and done that – and could teach its neighbor a thing or two. PFAS, shorthand for per- and polyfluoroalkyl substances and used to manufacture everything from Teflon and Scotchguard to firefighting foam, have been linked to low birth weights, immune system troubles, thyroid problems and cancer. Stine discussed Minnesota’s efforts to fight PFAS during an interview with Bridge. 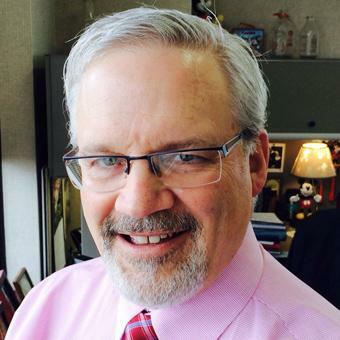 Bridge: Michigan leaders have touted their statewide testing initiative and other actions on PFAS this year. But critics say Michigan waited far too long to act and ignored warnings about chemical dangers for years. Why did Minnesota address PFAS so much earlier? Stine: We started detecting PFAS in our state in the early 2000s. At that time, the Minnesota Department of Health had not yet perfected the method to quantify concentrations of PFAS in water. They eventually did that, and then they began testing more broadly. That’s when we began responding to community drinking water challenges. Our work came from a public health standpoint. In Minnesota, the health department handles the federal Safe Drinking Water Act. In Michigan, it’s the Department of Environmental Quality. In our state, the public health perspective drove the response. In Michigan, it was an environmental response. Public health regulation is run by doctors and nurses and environmental regulation is run by lawyers and engineers. Bridge: What prompted Minnesota to sue 3M in 2010? Stine: We have a law on the books about natural resource damages. Our health department and pollution control agency were already responding to PFAS contamination, and the attorney general's lawsuit essentially said: We're going to quantify the long term harm to the natural resources in 10 Minnesota communities — meaning water and the fish primarily. The attorney general settled the lawsuit for $890 million in March of this year. But we’re still probably two or three years from implementing long solutions in those 10 Minnesota communities. Bridge: Has Minnesota, like Michigan, adopted a statewide testing program for PFAS? Stine: Yes, we began in 2006. Detection in one community lead to the idea that we should look in others. Bridge: You told me earlier that your colleagues have shared with the Office of Michigan Attorney General documents accumulated during Minnesota’s lawsuit against 3M. Stine: That’s correct. The head of Michigan’s PFAS response team [Carol Isaacs, a former Michigan Chief Deputy Attorney General under Schuette] brought colleagues to Minnesota over the summer. We had three days with them. They interviewed us, and we gave them a lot of information. Now, more states are dealing with PFAS across the nation, and a lot of my colleagues across the nation — people like MDEQ director Heidi Grether — have been sharing information. Bridge: Do you wish states would have started sharing earlier? Stine: That’s sort of the nature of government: You don’t recognize the scope of the problem until you’re faced with it. Who should have woken up when? Fair question. I’ve been in government 40 years, and I would say that what we did with 3M — and reaching a legal settlement in less than a decade — is almost breakneck pace in government. Bridge: Will Minnesota’s $890 million from that settlement completely cover cleanup efforts? Stine: Even before the lawsuit, 3M in 2006 entered into a consent decree with Minnesota requiring them to pay the cost of drinking of alternate drinking water systems. From then to now, they paid a couple hundred million dollars. This new money from this year’s settlement will ensure a long term solution — focused on how do we sustainably provide safe drinking water for the future. Bridge: Do you think Michigan is adequately responding to PFAS, even if its efforts started long after Minnesota’s? Stine: Yes, the state has taken a very holistic approach. And there are things Minnesota failed to consider that we’re all learning from other states, and Michigan is one. For example, issues surrounding with PFAS-tainted wastewater — and applying wastewater to land. We're now starting to go back and revisit that question around the state. I think Michigan learned some lessons and added to them. Bridge: You’ve said states must first focus on the immediate threats of PFAS before they develop long term fixes — particularly as questions loom about whether the federal government will take action. Can you elaborate? Stine: Yes, detection and characterization of the contamination comes first. You need to know where the source is and know how to confine it, and that’s not easy. Then you provide interim solutions, whether it’s bottled water, or in-home or community-wide granular activated carbon filters to remove PFAS from drinking water. That’s what’s being done in Minnesota. But in the long term, what’s a solution that’s sustainable and doesn’t require constant treatment and disposal? Bridge: What do you do with the PFAS captured in these filters? Stine: Either it’s got to be incinerated in a very unique process that keeps PFAS from being emitted into the air, or you have to put it in an approved hazardous waste landfill — where it’s sequestered in a multi-lined facility. We can’t dispose of it in a normal way because of the risks. Updated May 11, 2016; Posted May 9, 2016 ... " Six in 10 people tested for PBB in Michigan today -- including some born after the disaster -- have levels above the national average, according to researchers at Emory University in Georgia. Because PBB lives for decades in body fat and mimics the effects of estrogen, people directly or indirectly exposed have become prone to reproductive health issues and thyroid problems." ... ''In the 1980s, instead of a typical Superfund sign, a judge ordered the property feature a marker that would last 300 years''. When I see important information that relates to health, I save it to a folder for reference. We as people have to let these officials we are watching them and we need LAWS and LEGISLATION that hold them accountable while in office and even if they leave. If it were one of us we WOULD be HELD ACCOUNTABLE. If you desire please check out and share forward. Truth is powerful when shared with others. Just curious. Are Teflon and Scotchguard harmful to our health, and are they still being made and used? Are Pfas chemicals still used to make them? What was illegal about how 3M was using Pfas chemicals that allowed them to be sued (in the case of fire retardants, for example, it seems more likely the product user could be at fault, assuming they were used illegally) ?